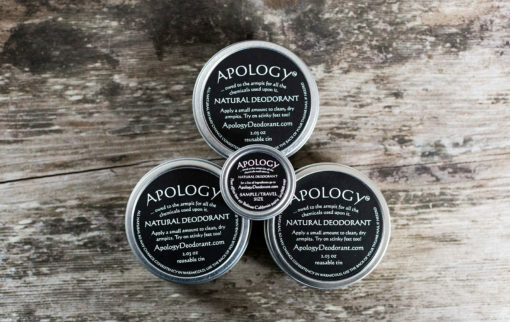 Do you have stinky friends or family who could use Apology? Want to encourage loved ones to ditch the chemicals? Gift them a tin. 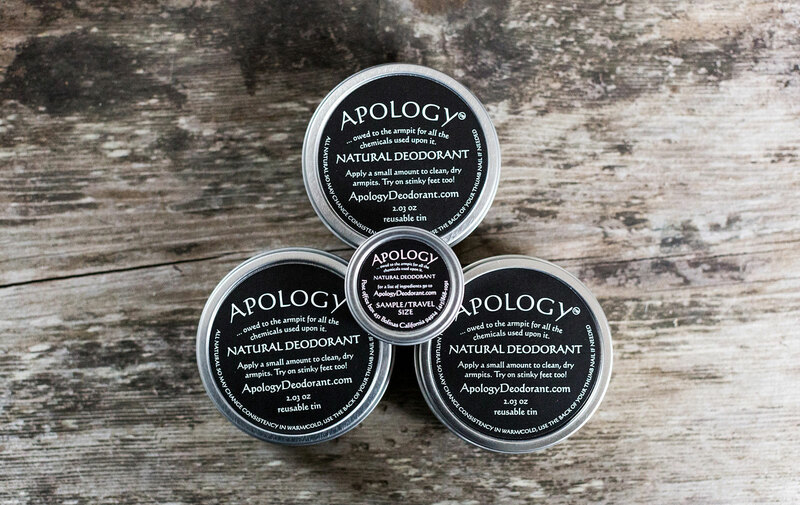 Apology Natural Deodorant is completely non toxic, and safe to use on your whole family. We recommend it on stinky feet to neutralize odors as well. TO USE: Take a dime size amount and rub into clean dry armpits. 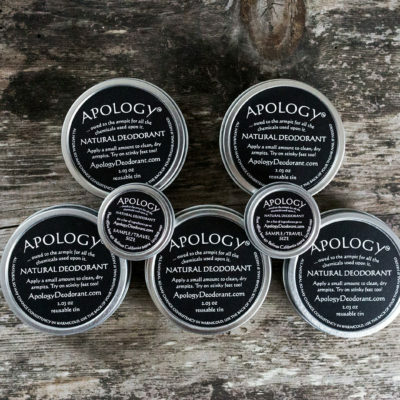 Includes 3 full size tins of Apology plus 1 1oz sample and free shipping! 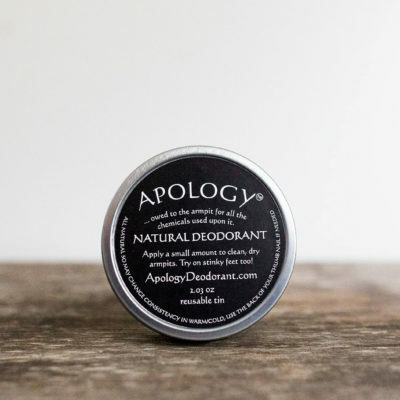 © Apology Deodorant | All rights reserved.